Now, I’d like it even more if people explained why this skull looks the way it does. This is a really interesting thing to consider, as it underlies the process of recognition and identification. As a biologist I might start by saying that the lacrimal foramina is on the edge of the orbit (as henstridgesj pointed out) which is indicative of a marsupial and that the dentition is indicative of a carnivorous mammal that isn’t a member of the placental Carnivora as it lacks carnassials, plus the dental formula appears to be ‘primitive’ from the photo ?.1.3.4/?.1.2.4 which narrows down the possibilities to just a few marsupial carnivores, and given the scale of the skull there is just one that fits the bill. 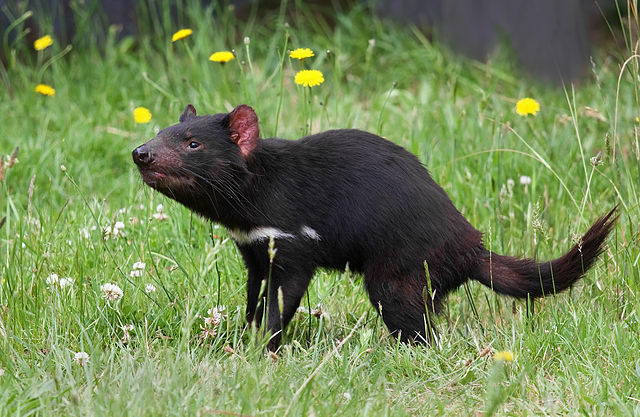 However, if I’m honest I’d say that the overall shape and robust structure of this specimen is very similar to specimens I’ve seen before belonging to the Tasmanian Devil Sarcophilus harrisii (Boitard, 1841) and the distinguishing characteristics are more helpful as confirmations of my intuitive recognition than they are as a primary method of identification. This is really the difference between recognition and identification – recognition relies on you having seen something before and remembering it, whereas identification relies on confirming the presence or absence of diagnostic features – something that can be done without ever seeing something before. This makes identification scientifically useful and it forms the basis of classification and taxonomy. Recognition alone is not sufficient for science, because although it will often work by our brains subconsciously registering diagnostic features, there is no method of communicating that process for others to repeat. This becomes a real issue when you have specimens that are closely related or where you have convergent evolution on a particularly effective body form and you need to distinguish between them. 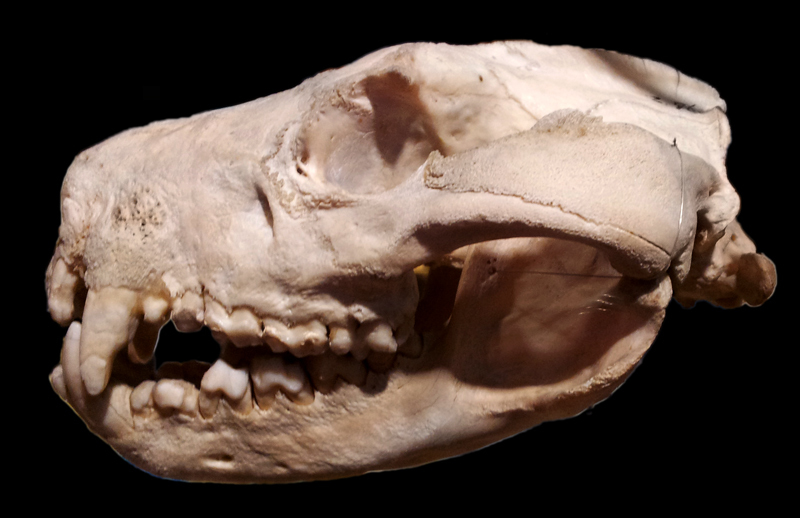 In the past I’ve given you mystery objects that have been mistaken for Tasmanian Devil skulls, so you can see why we need defined identification methods – the devil’s in the detail. I won’t go into much detail about these fascinating animals, beyond saying that they are remarkable in their ability to eat huge quantities of meat at a single sitting – up to 40% of their own weight. They are also unconcerned about their table manners, happily eating scavenged carcasses from the inside out. Sometimes they share meals, although not without some pretty vicious squabbling – which is unfortunate, since a particularly nasty cancer gets communicated between Devils when they fight, which has severely impacted on their population. You can find out more about that from Jack Ashby on the Grant Museum’s blog. One of the hats I wear is as a chiropractor who spent hours learning the foramens of the skull and was bored to death. Your Friday quizzes have left me wanting to look at osteology all over again.